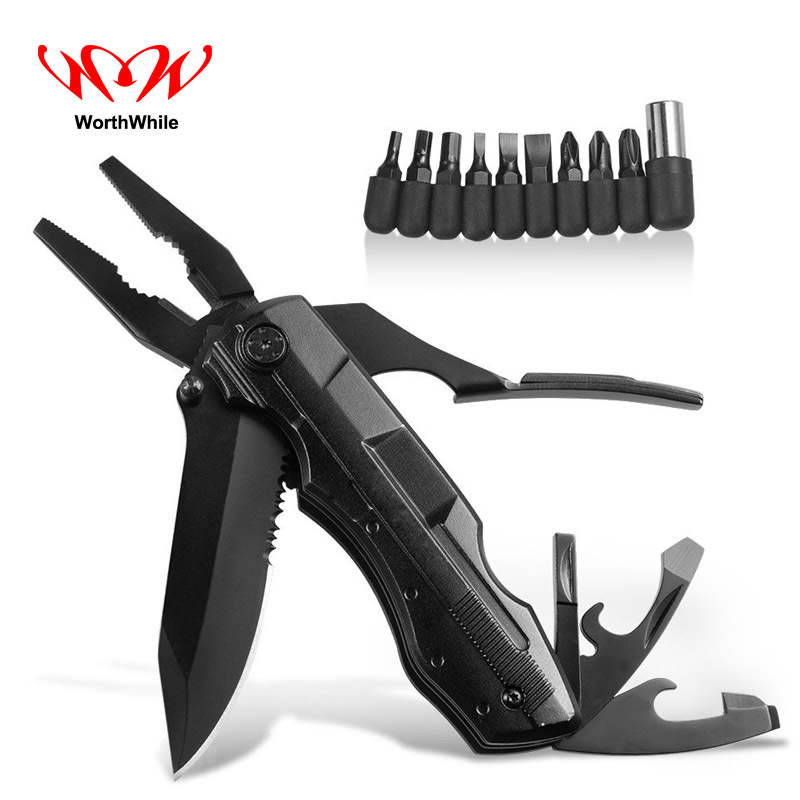 1.Great for outdoor caming hiking wilderness survival, compact design. 2.Multi tools with mini knife, saw, spanner, pliers, wrench and corkscrew and so on. 3.The blade can be opened and closed with one hand by using the blade slot. 4.Portable design, convenient to use.